Leafing through this book in a bookstore, I was attracted by the dedication: “For my wife, Jennifer Jackley, and the entire Jackley clan, whose love and acceptance have taught me more about Jesus than all my years of research and study”. I had noticed that the author, Reza Aslan, had been born in Iran, and now lives in Los Angeles with his wife and two sons. I thought: Here is a book about Jesus, written by someone who was born a Shia Muslim but is married to a Christian; this should be interesting! 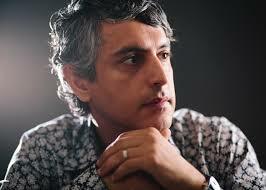 Reza Aslan has written two other books with interesting titles: No God but God: The Origins, Evolution and Future of Islam and How to Win a Cosmic War: Confronting Radical Religion. The subtitle of Zealot is The Life and Times of Jesus of Nazareth, and what Mr Aslan does in this biography is to separate the ‘historical Jesus’ from the religious icon whom Christians adore as the son of God. While there is no original research contained in this book, Mr Aslan draws on over one hundred and fifty other published books to reach his conclusions which are largely credible and interesting. He paints a picture of life, culture, politics and religious practices in Palestine in the first century. It is unlikely that He was a carpenter, but because of the minimal use of wood in most houses, He, like many others, was more likely a day laborer, a builder, a tekton, who may have worked in the rapidly growing, near-by city of Sepphoris. Nazareth was, during Jesus lifetime, a town of about 1000 residents, mostly poor peasants and day laborers. There is no evidence that a synagogue existed in Nazareth during Jesus life: the temple in Jerusalem was the religious focus for Jews in Palestine. It is likely that the gospel writers, who began writing at least forty years after Jesus’ death may have assumed that there was a religious meeting place in Nazareth, because by that time the temple in Jerusalem had been destroyed by the Romans. Data suggests that the illiteracy rate among Jewish peasants in the first century was about 97%, yet somehow, Jesus was able to read the Torah scrolls in the synagogue. This biography makes interesting reading, and it does not hesitate to open and explore nearly every controversy about Jesus: His disciples, parents, relationship with John the Baptist, trials, crucifixion, resurrection, what He said or didn’t say, what He may have thought. The controversies involving the leadership of the church after Jesus’ death are also examined. These examinations may extend to the historic translations of the original text, as well as both (or even three) sides of the scholarly arguments. Cultural, political, military, and economic evidence is brought to bear. This is clearly a scholarly work. In addition to the extensive bibliography there are nearly seventy pages of notes for those who have lingering curiosity about statements made in the main text. For me, the only disappointment is that Mr Aslan has made no attempt after shattering what may be a childish image of Jesus to reconcile the ‘historical Jesus’ with the Son of God.